Australians are just weeks from a national election, and the government’s latest budget proposal, released on 2 April, prioritizes tax cuts, roads and small businesses ahead of spending on science. Projects in nuclear medicine, environmental protection and gender equality in science received modest investments. But there was no new money for research grants, and universities would be worse off under the proposal. “It is not an inspirational budget for a nation that needs to transition from a bulk resources exporter to an innovation economy,” says Sydney-based marine ecologist Emma Johnston, president of Science & Technology Australia, an umbrella organization of societies that represent a total of 70,000 researchers. Ultimately, whoever wins the election in mid-May will determine the final budget. If the ruling conservative Liberal Party returns to power, over the next four years universities will lose Aus$345 million (US$245 million) that had been earmarked in previous budgets to pay for training and other costs not covered by research grants, such as electricity and salaries for technical staff. The drop in funding follows a series of cuts to universities’ budgets in the past several years. “The government has missed an important opportunity to reverse economy-damaging cuts to university funding, and secure economic growth,” says environmental chemist Dianne Jolley of the University of Technology Sydney. The latest budget does not include new money for the two major research funding agencies — the Australian Research Council and the National Health and Medical Research Council — beyond keeping pace with inflation over the next 4 years. Neither does it provide a funding boost beyond inflation for the national research agency, the Commonwealth Scientific and Industrial Research Organisation. Scientists are disappointed that the government has not met the STA’s request to allocate money to create an investment fund for non-medical science. In 2015, the government set up a Medical Research Future Fund to invest an estimated Aus$1 billion a year in translating and commercializing basic medical research by 2020. 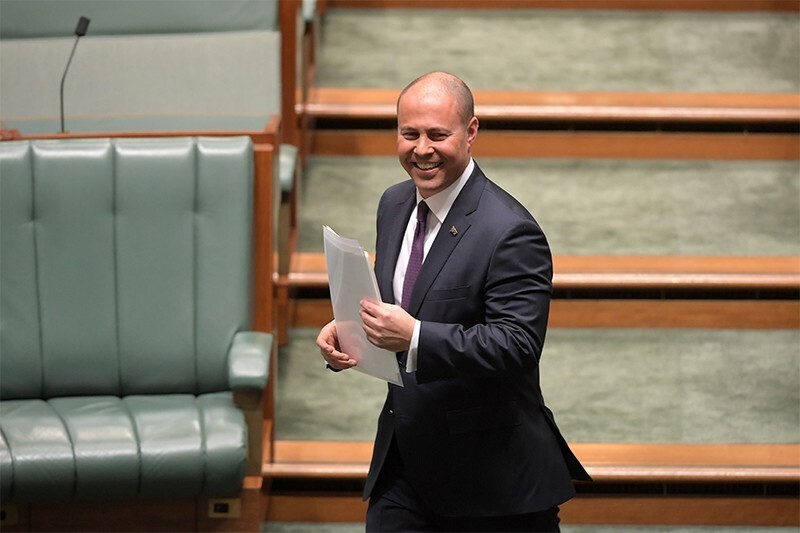 Treasurer Josh Frydenberg told the parliament that the fund is on track to raise Aus$20 billion by 2020–21. A complementary fund for non-medical research would support the high-risk experiments needed to translate basic scientific discoveries into products or services, says Johnston. The few winners in science include nuclear-medicine research, with Aus$56.4 million provided to the Australian Nuclear Science and Technology Organisation over three years. Another Aus$25 million over four years will be provided to Monash University and the University of Melbourne to set up a coastal, environmental and climate research centre near Melbourne. The government also plans to allocate Aus$3.4 million over four years to support women in science, technology, engineering and mathematics. The money includes Aus$1.8 million for the Science in Australia Gender Equity initiative to attract and retain women in science, which is modelled on the Athena SWAN Charter, a UK higher-education accreditation programme. “Anything is better than nothing, but ten times that amount would have been good,” says geneticist Jennifer Graves at La Trobe University in Melbourne. The small win, she says, will not make up the shortfall from broader, ongoing funding cuts to universities that have reduced their capacity to create a healthy academic environment for scientists, especially women. Although universities now have good maternity-leave policies, says Graves, women often do not receive the necessary support to transition back to work, such as staff who can continue their experiments while they are on leave, or crèches and lactation rooms at institutions. The research environment has also become more competitive, she says, with increasing demands on time from teaching and administrative requirements. “Years and years of cuts have made the university workplace a very unfriendly place for women,” she says.